Chop cauliflower and cook until soft. Add cream cheese and butter, season if desired. 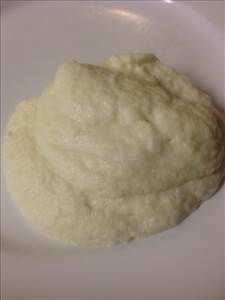 There are 166 calories in 1 serving of Cauliflower Mash. Calorie Breakdown: 67% fat, 22% carbs, 10% prot.